Led by medalist Brett Sodetz, Coronado shot a total of 7-under-par 569 as a team, setting a state record for a 36-hole tournament. It was more than enough to give the Cougars their fourth straight title at the Sunrise Region tournament at Paiute on Wednesday. 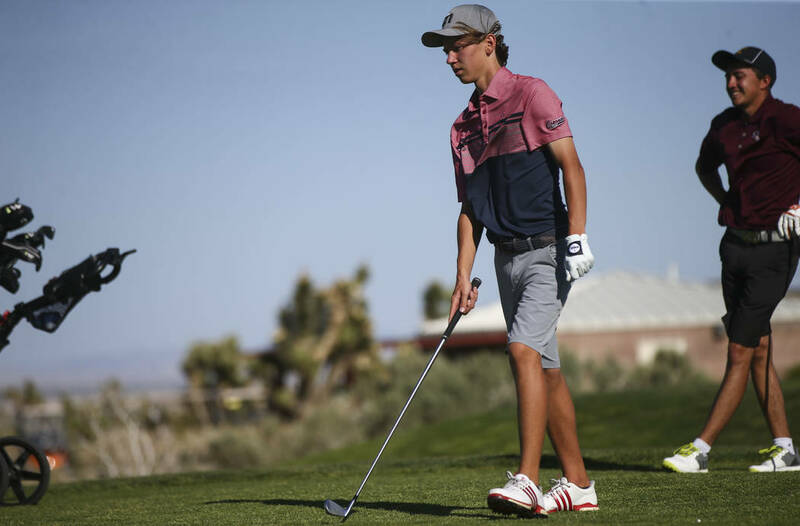 Considering the history of Coronado boys golf, it may be a stretch to call this year’s team the best in school history. But considering how dominant the Cougars have been, it’s not that much more of a stretch to call them the best in Nevada history. Led by medalist Brett Sodetz, Coronado shot a total of 7-under-par 569 as a team, setting a state record for a 36-hole tournament. It was more than enough to give the Cougars their fifth straight title at the Sunrise Region tournament at Paiute on Wednesday. 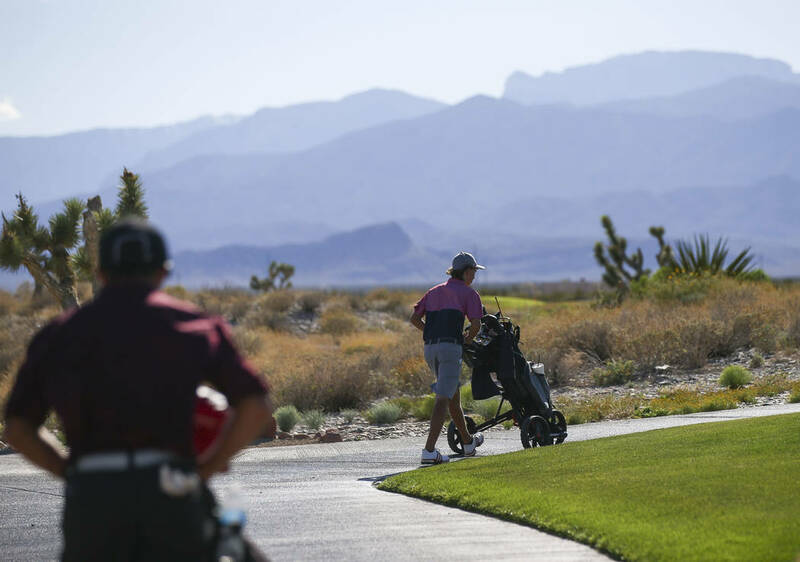 Nevada moved to a new scoring system this year, counting a team’s top four golfers instead of five. 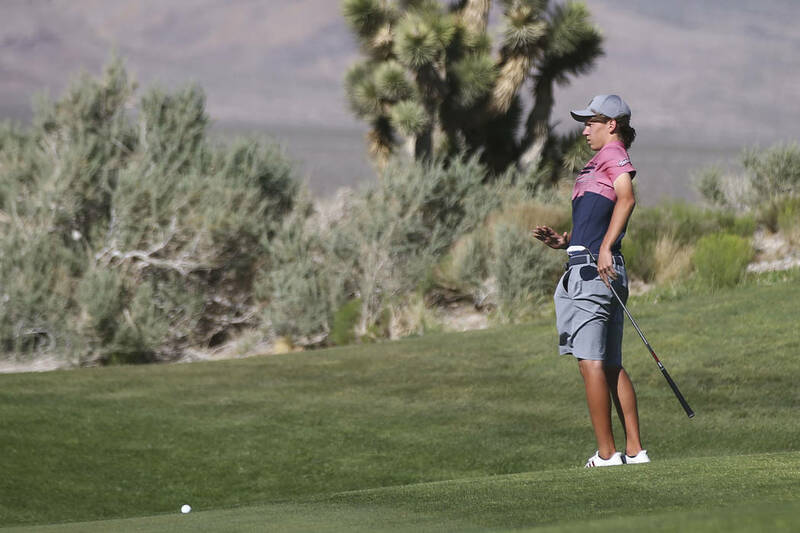 The previous team record of 7-over, set by Coronado’s 2012 team, counted an extra golfer. But if Coronado counted its fifth golfer each day of this year’s tournament, it still would have the record by four strokes. Sodetz led the way, shooting even-par Wednesday after a 7-under-par 65 on Tuesday. But the lead was too much to overcome, and he cruised to victory by five strokes. His teammates weren’t far behind. Dylan Fritz was second with 2-under 142, Benjamin Sawaia was third with 143, and Joey Dotta was sixth with 150. Even non-scoring members C.J. Martin (seventh place) and Michael Sarro (11th) were among the leaders. Foothill was the only other team to post a score, and finished with 626. Noah MacFawn of Foothill placed fourth by carding a 144, and Eldorado’s Matthew Manganello shot 147 to finish fifth. Coronado will roll into the state tournament looking to cement its place as the state’s best team. On April 26, the Cougars shot 16-under in a Southeast League match, the state record for an 18-hole match. But they have not won a state title since 2012, and Joe Sawaia said he is ready.